The perfect place to explore Sierra County & the Geronimo Trail. 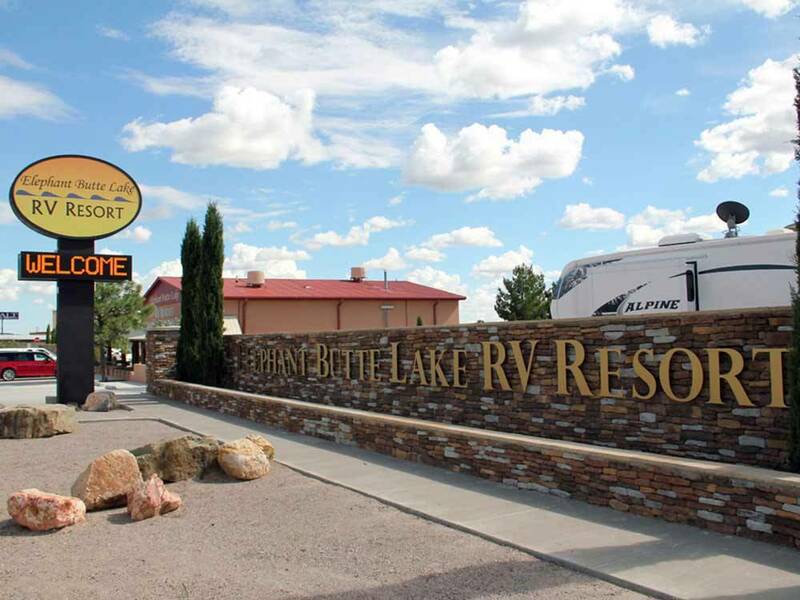 Close to Elephant Butte Lake State Park & the largest lake in New Mexico, Spaceport America, Bosque Del Apache Wildlife Refuge! Snowbird's Paradise! 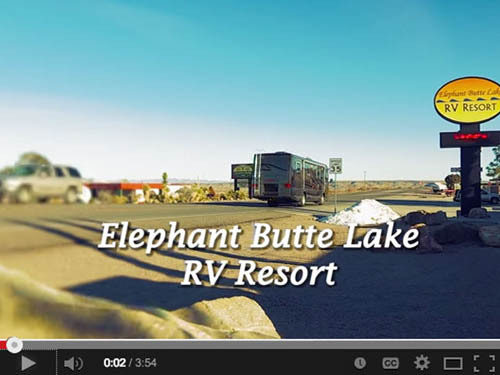 This RV "resort" is over priced for a night's stay with snobish staff. It is large, well kept, and up scale, intended for campers who want to stay a week, month or forever. The park charges for a box to receive cable channels, but because we arrived late after the office closed (5:30pm) we were not given one, although we were changed for one. The site had rows of trees on either side of the site and did not allow the slides on our 34' to extend without scraping. Will never stay at this facility, nor recommend it, except to the elite camper. Hi Drcountry, Thank you for taking time to write this review. I would like to mention that we do not charge for cable boxes and you were not charged. Again, thank you for your review. We stayed for two nights in late September. The facility is first class, friendly staff. All sites are gravel. The indoor pool, hot tub facility is new and very nice. 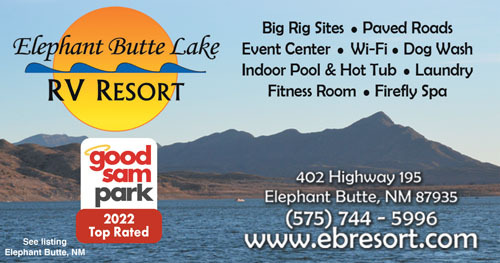 The overnight sites are a 100 yard walk from restrooms and all closer sites are long term residents. We would stay here again. One of the best parks we have used. First time was an overnight stop - park answered phone promptly and reserved a space in the pull through section. Reception staff were incredibly helpful and welcoming .We were given very clear and helpful instruction on how to proceed if we arrived after the office closed - reduced the stress for us ! On arrival extremely easy to pull into flat well landscaped pull through - clearly marked. Set up was easy , interior roads are all paved , parking spot was gravel. Excellent hookups . Park "helpers" came to help us park and oriented us to the facilities. Bathrooms - WONDERFUL - all parks should be like these , very well arranged and most areas of the park are only a short distance from a bathroom facility. Wifi was just being tweaked when we arrived - excellent system , strong signal, fast enough. The facilities include an indoor swimming pool , small but useable Pickleball court , BBQ areas and shaded sitting or dinning spots. The only reason we do not give it 5 stars for appeal is lack of scenic view !! Directly opposite park is hotel with bar / restaurant if you don't feel like cooking - we used park on return leg of our trip and the restaurant was a welcome alternative for a change. This park I have recommended to friends and if we are in the area again likely we would stay for a period of time.